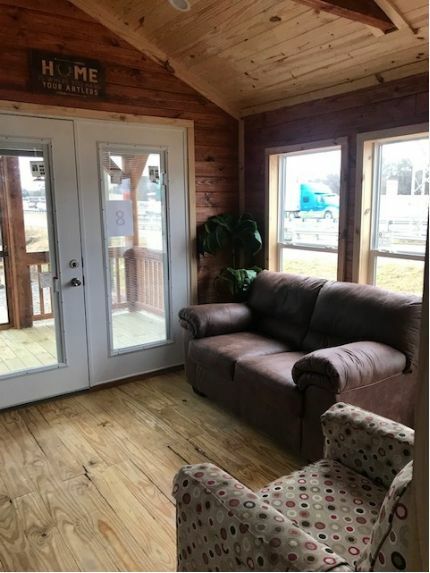 If you are in the market for a home with a rustic vibe, the Mountaineer by the Avery Cabin Co. of Alabama is an excellent option. 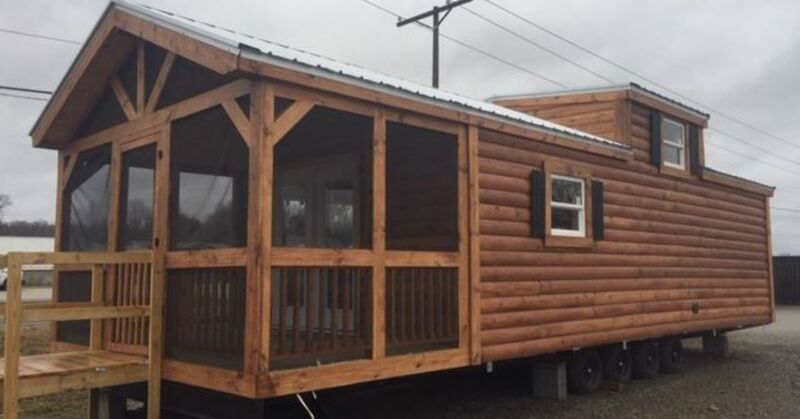 Measuring 399 square feet, the home retails for $50,000, which includes delivery and setup to some areas. 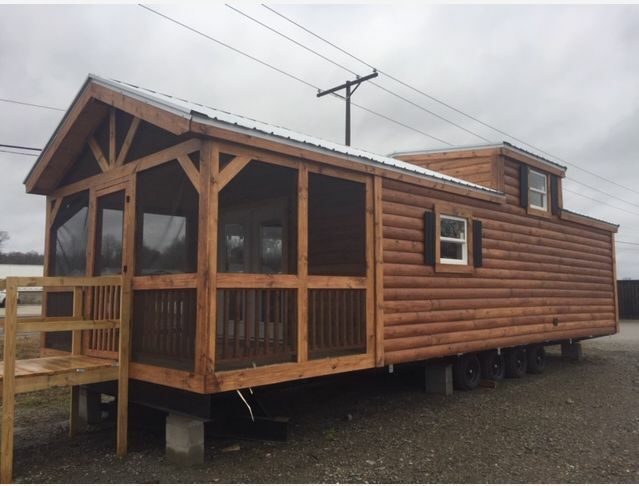 Mike Hayman of Ozark Tiny House Outlet, the exclusive retailer for Avery Cabin Company in Arkansas, was curious about how people would react at the thought of living in a small space full time, so he started documenting the number of customers looking for one-bedroom homes. “To my astonishment, a lot of young professionals as well as retirees, empty nesters, and elderly who wanted to live closer to family, were inquiring about smaller homes more and more each day,” he shares. Hayman really liked the Mountaineer because it is the most economical model from Avery Cabin Co. 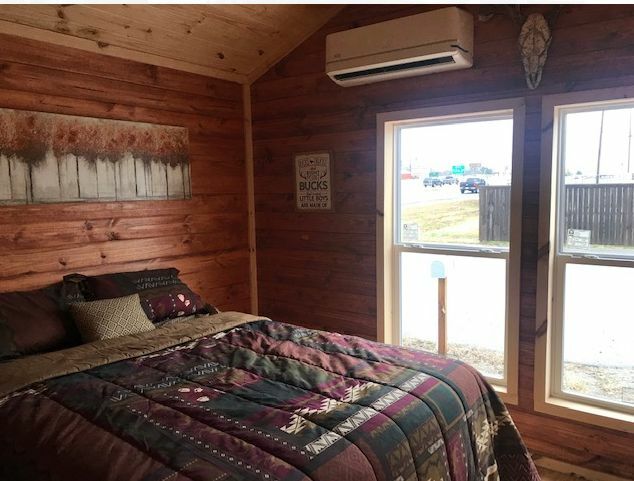 The Mountaineer’s standard features include insulated windows; metal roofing; fiberglass insulation floors, walls and ceiling; linoleum flooring over OSB or plywood decking; and smart panel stained lap siding. 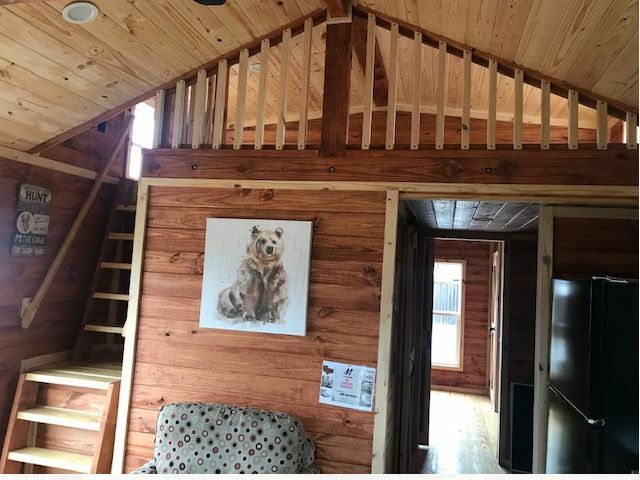 Optional features are stained interior walls and beams, real pine flooring, loft with stairs and rolled log siding. The stained lap siding of this handsome small home gives it the illusion of a charming log cabin. The 14-by-8-foot porch can be upgraded to up to 16 feet. The model also has the option of a screened-in porch, adding to its total livable space. The living room offers space for a love seat and a chair. A wooden sign with the message “Home is where you hang your antlers” hanging above the double glass doors adds to the rustic charm of the room. The real pine flooring is too pretty to cover with an area rug. 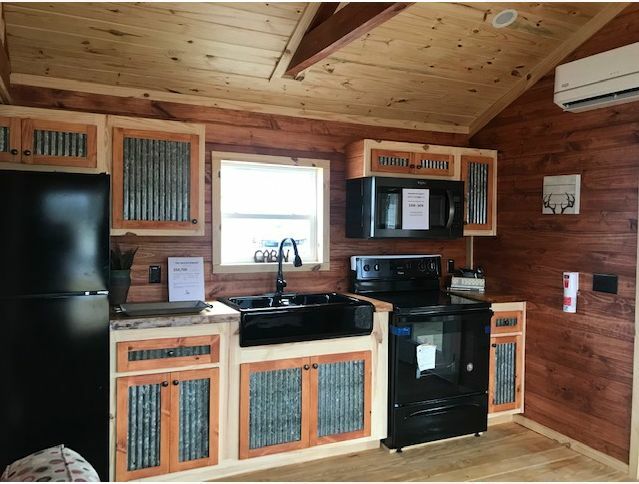 The black appliances in the kitchen (namely the microwave, refrigerator and stove) as well as the black farmhouse sink, afford a nice contrast to the distinctive custom cabinetry made by Avery Cabin. The wood grain pattern on the walls, as well as the wooden beam on the ceiling all, amp up to the rustic vibe of this small home. The bedroom is large enough to provide space for a bed big enough for two. A double set of windows lets in plenty of light. This simple bathroom can fit either a shower/tub combo or a full shower. 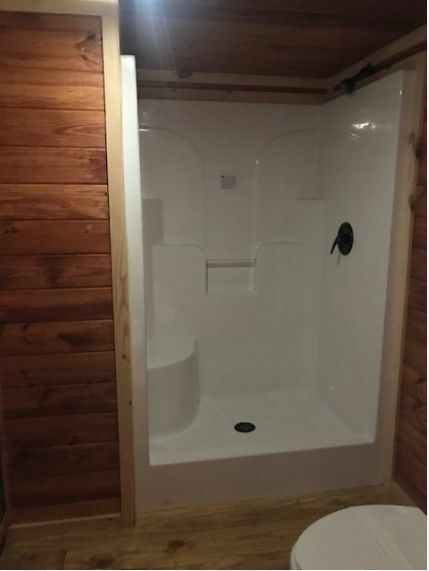 The combination of the clean white color of the shower cubicle and the brown wood pattern of the walls reinforce the overall rustic theme of this cabin home. This model has the option to include a loft as an extra bedroom or as a storage area. The wooden safety bars on the loft add to the interior's overall rustic design. The narrow wooden steps leading up to the loft are neatly tucked against the wall as well as a hand rail, keeping safety in mind.